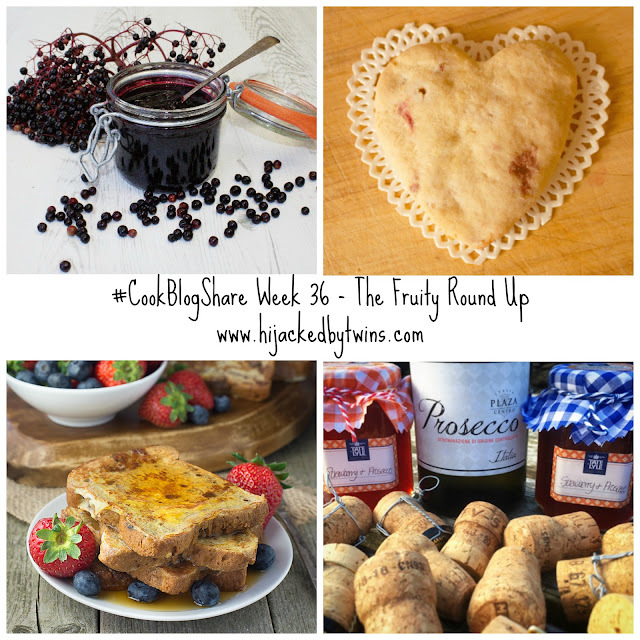 Welcome to my round up of week 36 of the CookBlogShare linky. This is my first round up since our holiday. I will admit to finding it hard to get back into the swing of work after such a relaxing break. Last week the twins started full time school and I spent the week catching up on jobs around the house that had been neglected. But now I am finally catching up it will be back to normal again. I hope you all had a great summer and are looking forward to autumn. I do love autumn, it is a time of year when we have more root vegetables as we anticipate colder weather. This month is a busy one. On Thursday I am attending a Knorr event in London, then at the end of the month I will be returning to London for a lunch meeting with the lovely ladies from Carnival Cruise Lines. I am also so excited about November. I was over the moon to discover that I have been selected to visit River Cottage with Foodies100. So it is going to be a busy few months! Now back to the round up. Last week the linky was hosted by Eb at Easy Peasy Foodie. You can tell that Great British Bake Off is back, everyone has the baking bug! There were so many delicious meals and bakes linked up so thank you for sharing and thank you to Eb for hosting. My four favourite recipes this week are all fruity ones and I want to try each and every one of them! First up is this exquisite Elderberry and Port Jelly from Tales of the Kitchen Shed. As soon as I saw this recipe I knew that it would be one that I will be making at some point. We have two large Elders down the bottom of the garden and every year we have a lot of berries. This jelly sounds amazing, I will be getting some berries later to try this one! Next up are these dainty Strawberry and White Chocolate Shortbread Biscuits from Kelly Robinson-Key. Regular readers will know that I love recipes that uses produce that we grow and these are an ideal way to use some frozen strawberries! Charlotte's Lively Kitchen shared her delicious way to enjoy Genius gluten free fruit loaf. Her Fruity French Toast looks like an ideal way to start the day. I have also been trying some Genius products and I still have some fruit loaf so I will definitely be having a go at this recipe! Last but not least is another preserve from Foodie Quine. This jam combines two of my favourite flavours, strawberry and prosecco! This Strawberry and Prosecco Jam is going straight on my list to try once we have another abundance of homegrown strawberries! If you missed these posts last week then pop over and take a look! Tomorrow the linky is being hosted by Mandy at Sneaky Veg. I will be joining is again as normal and look forward to seeing what you have been cooking up! Thanks for including my boozy jam!